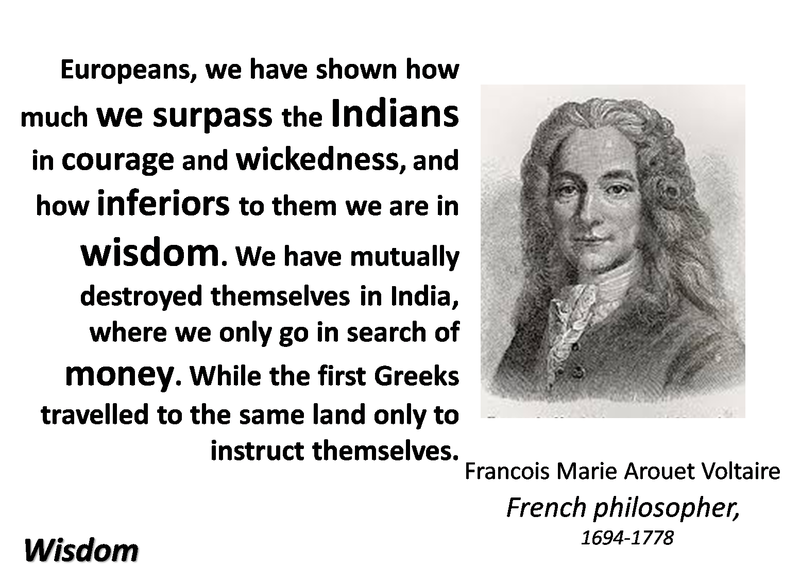 Europeans, we have shown how much we surpass the Indians in courage and wickedness, and how inferiors to them we are in wisdom. We have mutually destroyed themselves in India, where we only go in search of money. While the first Greeks travelled to the same land only to instruct themselves.